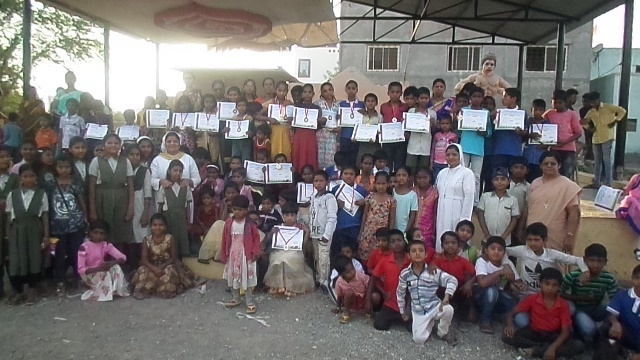 On 9th March and 16th March, the Sisters organized the Sports Day for the children of Zilla Parishad. It began at 2.00 pm till 5.00 pm. to cater to the needs of the two villages. The Chief Guest for the occasion was Mr. Ghutam Bhigardive, an ex-army man, Mr. Niborkar, Headmaster of the ZP school, Nagar Savek, Mr. Sunil Tribakhe, Youth Leader, Mr. Dattyatraya Tapkire, Mr. Bablu Svawavshi, Sr. Teresa John and Sr.Jeena Bandya. 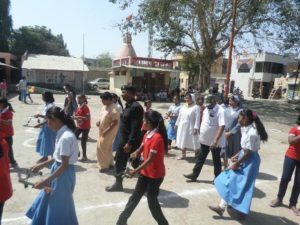 To start with, there was a prayer moment, the welcome ceremony, a dance which was followed by games. 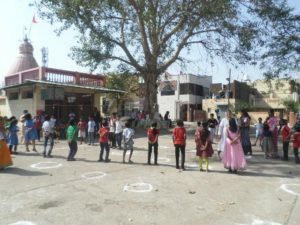 There were various games according to classes and age groups of children. 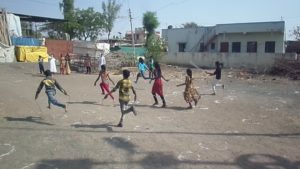 The total number of children who participated in Sports Day was nearly 450. 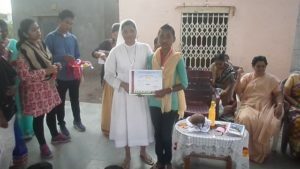 The prize winners were awarded medals and certificates. The Guests were much appreciative of the good work done by the Sisters with the support of Crompton Greaves Company. They also noted the hard work put in by the supervisor and the teachers. 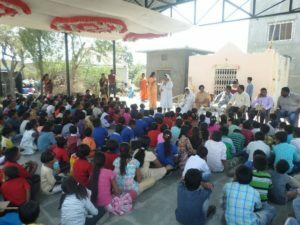 As a mark of their gratitude, the Guests offered snacks for the children.